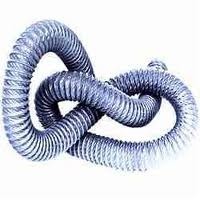 Our company is highly acclaimed in offering a wide range of PVC Flexible Pipes. PVC Flexible Pipes which all are good resistance of heat. These pipes are totally free from any leakage. We offer a wide range of PVC pipes in different shapes and sizes, as per the needs of our clients. 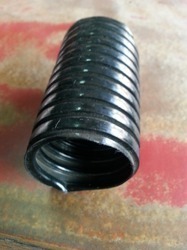 Flexible hose for high temperature wiring. Fabric Hose Pipes offered are pipes that find suitability for low temperature applications and can be delivered in different lengths and thicknesses as desired by the customers. Here, the use of superior grade material during construction as well as advanced design parameters employed also allow these fabric hose pipes to deliver better functionality, over all service value and longer functional life. Our expertise lies in also making these available in customized variations. Pipes designed to deliver better process support and service life. Looking for PVC Flexible Pipes ?